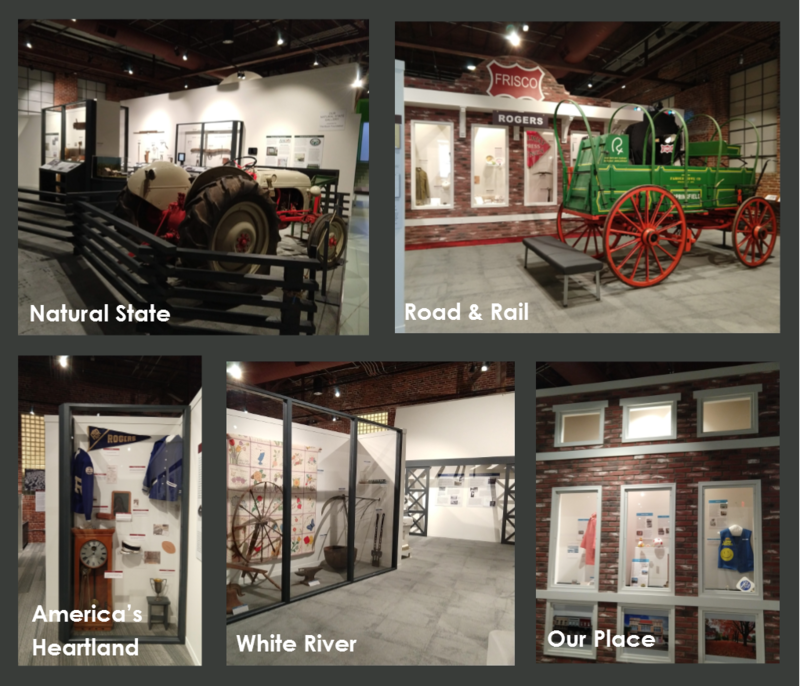 These five brand new galleries explore the history of Northwest Arkansas from the land and how it shaped our area to the pioneers who settled here, to a look at the beginning of the urbanization of Northwest Arkansas to the impact of Beaver Dam, and a look at our more recent past. This gallery, geared toward our youngest visitors & those young at heart, provides hands-on experiences with the past. Explore "Grandma's House", "Grandpa's Workshop", the "Telegraph & Telephone Exchange Office", and a recreation of the fire escape at the original Rogers High School. This middle class Victorian house has been restored to the early 1900s time period with furnishings displayed so that it seems that the Hawkins family still calls it home. Guided tours are available daily as well as seasonal tours. These galleries are dedicated to educating through touch in Grandma's Attic by allowing children to dress up, 'cook' at a vintage stove, type on a vintage typewriter, and other fun activities. And by viewing a recreation of three of the earliest businesses in Rogers on First Street. Both of these galleries are accessible when not in use by school groups. Located in Frisco Park, only two blocks from the Museum, this retired caboose from the Frisco line allows visitors to experience the railroad history of Rogers. Contact the Museum to request the caboose be unlocked. The Museum displays short term exhibits in two locations in the Hailey Building, the Collections Gallery and the Trammel Gallery. Below are the current short term exhibits and the gallery they are in. The medical field has changed extensively as new technology and understanding of disease and treatment has evolved. Explore "Early Medicine of Northwest Arkansas" through objects from early doctors and pharmacies, to caring for the dead and medical devices no longer is use. This exhibit opens April 13th. Rogers Postal History: From Stagecoach to Mail Truck opens April 20. This short-term exhibit will explore how the mail has reached Rogers and it's citizens since the 1840s. It will also feature objects from the Museum's collection and stamps from across the world. The Museum displays small exhibits at locations across Northwest Arkansas. Listed below are the exhibit names, locations and times when you can view each exhibit.